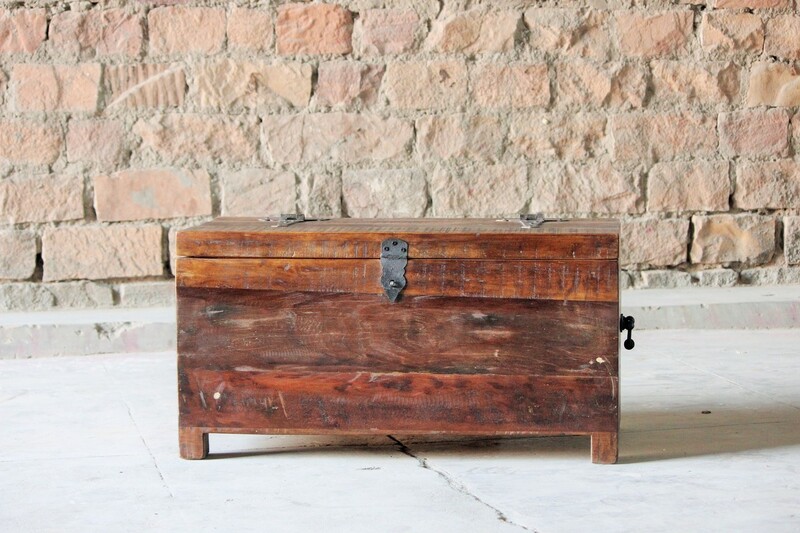 This stunning piece of furniture is our Rustica Reclaimed Trunk Box. It has been handmade from recycled wood by our expert craftsmen. The wood has been sourced from old building structures and general premises in India. Even the handles on the drawers have been recycled from melted down steel. 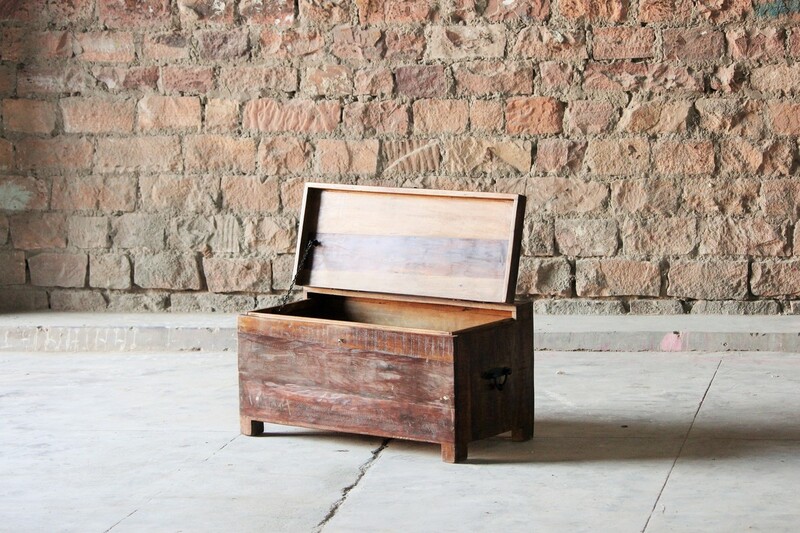 This trunk box is made with quality and sustainability in mind. Not only is it good for the environment to make furniture from reclaimed wood, but it means that you get to enjoy furniture which has its own unique story. 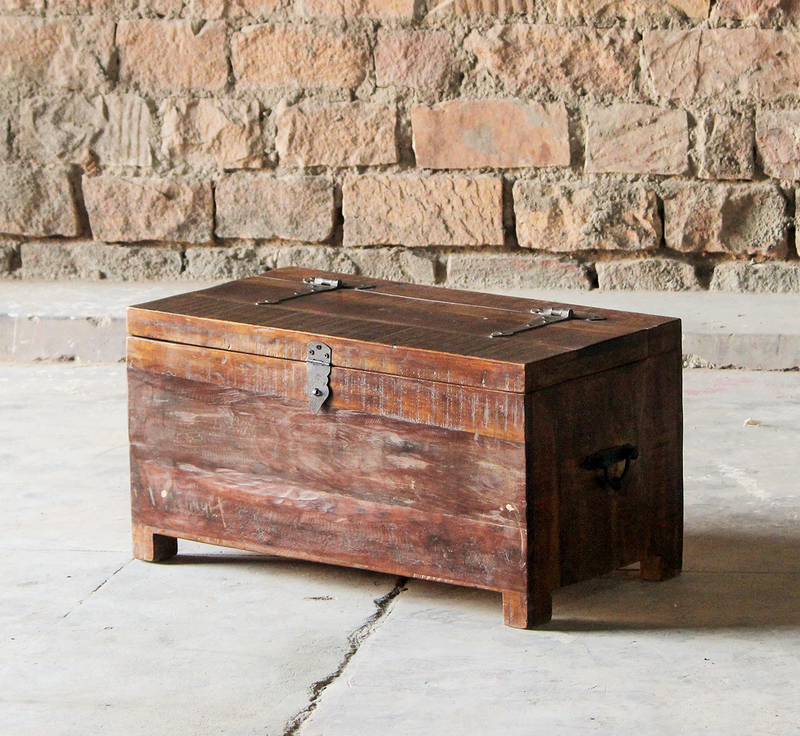 The Rustica Upcycled Trunk Box is great if you need some more storage space in your home offers ample storage space. The hinged table top folds open so that you can store your living essentials inside. As this coffee table has been made from reclaimed wood, there will be some variations in colouring and markings of the wood.